We keep visitors and residents informed on all that is happening in Renton through an active, up-to-date news and events section you can use as a referral when planning a trip or finding something fun to do in the city. We believe every occasion is created equal, but some have become favorites among residents and tourists alike. Here are five not-to-be-missed events that happen throughout the year. Ivar’s Clam Lights – Holiday lights galore along a one-mile walkable loop at Gene Coulon Memorial Beach Park. Park landscaping is professionally decorated, and provides a stunning show of holiday lights. Ivar’s Clam Lights run nightly 5:00 pm to 9:00 pm through January 1. For more information, call 425.430.6700. 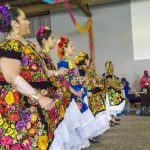 Multicultural Festival – Demonstrations of culture, individuality, art, and expression meet at the Multicultural Festival. The festival takes place across multiple venues in Renton. Experience Bollywood dancers, African drummers, martial artists, interactive games, arts & crafts, and food. 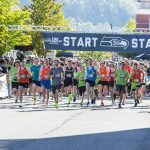 Renton River Days – A multi-day family festival and celebration of community pride, Renton River Days has been a staple in the city for over 32 years. The festivities include a parade, rubber ducky derby, art market, art show, stage performances, food vendors, and a sidewalk chalk art contest. For more information, call 425.430.6528. Summer Concerts at Coulon – A longtime family-favorite concert series, the Coulon Family Concert Series at Gene Coulon Memorial Beach Park offers diverse music and entertainment for everyone to enjoy. Ivar’s Family Fun & Films, which puts on outdoor movies, also takes place at the Park, as well as Henry Moses Aquatic Center. In the event of inclement weather, call the Renton Recreation inclement weather line at 425.430.6719.